What happened to the cooler weather? Well, I don’t care… I’m still making soup. 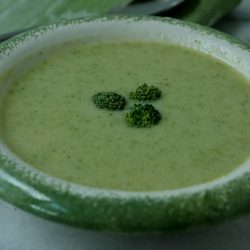 This healthier version of Cream of Broccoli Soup is great!